“The Gumboot Musical” – a celebration of song and dance, an international phenomenon that has swept across the globe like a tidal wave of soaring voices and stomping feet. Gumboot dancing was born out of the oppressive gold mines of 19th century South Africa. Forbidden to speak and in almost complete darkness, the slave labourers developed their own language by slapping their gumboots and rattling their ankle chains. In time it has developed into a truly unique dance form. 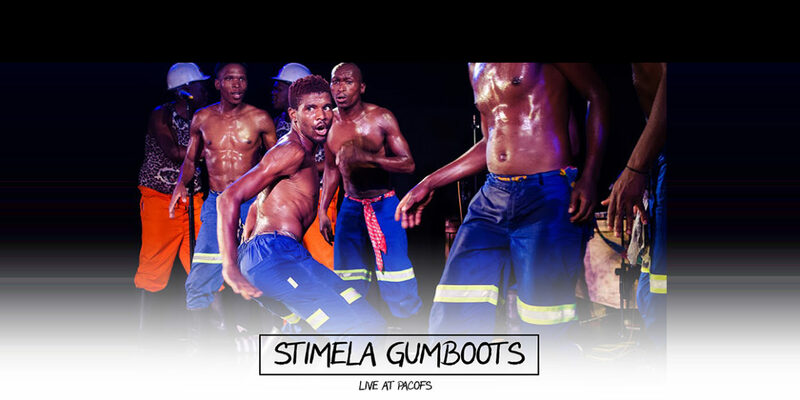 Unrivalled in its energy and physicality, Stimela: “The Gumboot Musical” celebrates the body as a musical instrument whilst highlighting South Africa’s rich and complex culture.